In July 2002, right after the infamous press conference held by the NIH to announce the premature termination of the estrogen–progestogen arm of the Womens Health Initiative study (WHI) and warn women off taking postmenopausal hormones, I wrote an editorial in Menopause Management saying: While the merits and demerits of the data and the wisdom of the decision to terminate this arm of the WHI study will be debated for years, the manner in which the study was terminated was poorly planned, abrupt and inhumane. Predictably, the media response was enormous, ranging from thoughtful to sensational. Despite their own evidence showing a nonstatistically significant increase in breast cancer, the results were exaggerated to achieve maximum impact and terrify women. Ten years later, as the deleterious effects on womens health were becoming quite alarming, I wrote a key paper stating literally millions of women discontinued hormone use after the dramatic announcement by NIH in 2002. The real story of the WHI may turn out to be incalculable damage wrought on younger peri- and early postmenopausal women who discontinued their therapy and who are now several years beyond menopause and off hormones. Not only have they have suffered through menopause-related symptoms, but the very women who might have been protected from heart disease, the single biggest killer of women over 50, and osteoporosis, one of the most significant causes of long-term disability, are the ones potentially most damaged by the WHI. 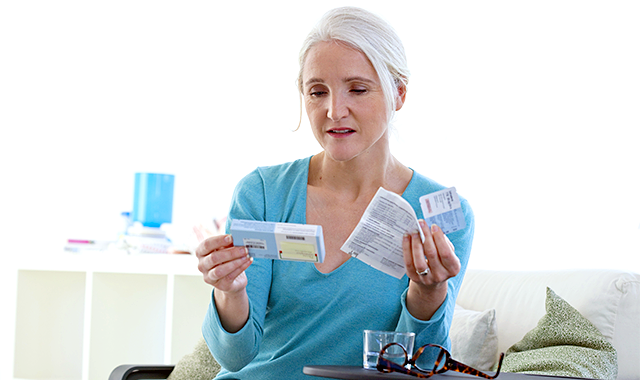 Women who discontinued postmenopausal hormone therapy (PHT) have significantly increased risk of hip fracture compared with women who continued taking hormone therapy (HT).3 Indeed, there are estimates that discontinuation of PHT may have resulted in over 43,000 bone fractures per year in the USA. The number of increased cardiovascular events in young women who discontinued ET may be even more staggering. Publications from the WHI clearly demonstrate no increase in cardiovascular risk in women aged 50-59, and indeed, for the first time ever, an intervention, namely estrogen, has been demonstrated to actually reduce calcified plaque burden in the coronary arteries of these women. Even statins have not been demonstrated to be this effective in women. Now a new scientific study recently released online ahead of print reports that over a 10-year span, starting in 2002, a minimum of 18,601 and as many as 91,610 postmenopausal women died prematurely because of the avoidance of estrogen therapy. This situation is outrageous. Deaths of women in America as a result of fear of postmenopausal hormone therapy now equate to losses in the wars in Iraq and Afghanistan. How many more women must suffer before the WHI investigators call another press conference and repudiate their own warnings? Or what does it take for our government to open an inquiry into the real results of the billion-dollar WHI study? There is urgency and a necessity for women to hear the truth and take appropriate actions to enhance the duration and quality of their lives.